As parents, we have a tendency to set unrealistic expectations for our children before they are even born. We imagine our children to be perfect in every way, shape and form; when they’re not, our illusion is shattered and the truth is sometimes hard to swallow. No one wants to admit that their child is born different from the rest of the other children in the school, in the community and/or in their own home, but the fact of the matter is that we are all different in our own ways, and there is very little anyone can do to change who we are fundamentally. This is sometimes why, when we see our children struggle at home or in school, we have a tendency to deny the struggle’s very existence, sometimes at the detriment of the child. The more we deny our children’s fundamental differences, the more we might miss the opportunity to seek out and choose the professional help they will need to succeed in life. It’s of incredible importance to pay special attention to your child’s behaviors, thoughts and feelings as they grow, and is your responsibility as their parent to make sure they perform to the best of their abilities. This can mean admitting to yourself that your child is special in their own unique way, and needs just a little bit more help to succeed then their peers. That’s completely okay! The first step in procuring help for your child is finding out what their specific problem is and then how to fix it. If your child has a learning disability – whether it is emotional, physical, mental, sensory or behavioral – there are a number of educational support specialists that are trained in the art of handling your child’s disability, but it’s up to you to find the right assistance for your child. That means finding someone to give them a qualified diagnosis; until then, you will have to find a way to educate your child without the individualized attention that public school special education programs could provide. Special Education Resource certainly does not advocate the negative labeling of special education students. However, applying the label specifically to their educational needs and not them as people, means opening a new world of academic possibilities that were previously closed. Special education services have been hit the hardest with budget cuts and a reduction of resources within the school system. Unfortunately, this lack of resources has caused classroom sizes to explode, teachers are forced to do more with less, and unfortunately it’s the children who suffer most. Don’t worry! All hope is not lost. Luckily, the special education industry is no longer one main sector; there are several branches of special education that deal with a multitude of needs on a variety of levels. Special Education Resources are extremely plentiful online and even in many communities. Special Needs Tutoring is one of these branches, and has been expanding in size and intensity for the last several years. Thanks to rapid developments in technology, finding a qualified special needs tutor it’s easier than ever before. The Education for All Handicapped Children Act of the 1970’s provided an incredible breakthrough in how we all viewed special education. It was no longer something to be ashamed of, and opened up an avenue for every child’s educational future regardless of handicap or unique abilities. Special education services all across America essentially opened the floodgates for all manner of children with special needs, and a new revolution in general public education was born. Special education services were designed to teach children in the way THEY learn best, not force them to learn in the way we teach. Special needs tutoring works much the same way. 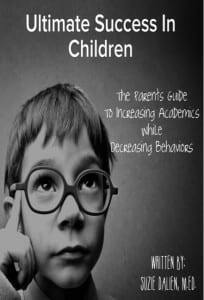 If your child used to excel in school, however is currently struggling academically or behaviorally, chances are they are drowning in a massive classroom. A one-on-one special needs tutor can teach your child the curriculum they are currently being taught at school, but in a way that maximizes their learning. Special Education Resource was created to help children reach their academic excellence. If you’re child exhibits behaviors and other signs consistent with a special need but aren’t yet eligible to receive special education benefits, special needs tutoring is a great option. Another sector of education that has expanded drastically the past few years is homeschooling. In addition to the millions of available homeschool resources, special needs tutoring has become an increasingly popular way of supplementing a homeschooled child’s learning. Again, designed for the needs of the individual, special needs tutoring offers a way to decrease behavior issues along with increasing academics. When a child needs help they need help, regardless of how other professionals might view their educational state. 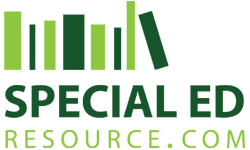 The idea behind Special Education Resource is a simple one: when your child needs help, you can reach out to us and be connected with qualified special needs tutoring professionals, whenever and wherever you need it. Children with special needs often learn better in an environment in which they feel safe and secure, and that sometimes means being educated at home instead of in a traditional school environment. 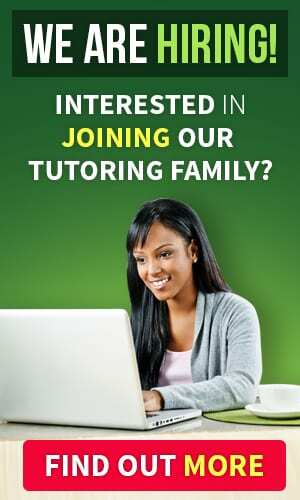 We offer a variety of special needs tutors with a number of flexible tutoring options that are designed to fit you and your child’s busy schedule. Special needs tutoring takes the curriculum being taught in the classroom, and molds it to fit your child’s specific learning needs. Your child not yet in school, or dropped out? We can create custom lessons tailored to their learning needs, and directed toward their specific life goals. The first step is a free consultation with one of our special needs tutors. During the call, you will finally receive answers to your toughest questions, receive unbiased feedback and guidance on what action to take moving forward. As our world progresses towards a more modern view on special education and other matters, we will need to redefine how we feel about education in general, regardless of what sector it comes from. Your child only has one chance at a great education, and it is your responsibility to hold their hand during the journey that will take them through the classroom and beyond. As the years progress, more red tape and politics enter into the education system. Often children exhibit the characteristics of a special need, however special education services can take a while to get. Many parents are taking their child’s education into their own hands. Special needs tutoring effectively takes the curriculum your child is currently being taught in their classroom, and molds it to fit their unique learning style. It’s less to do with a label, and more to do with educating children THEIR way!